About Food at the Overwintering Sites? Look carefully at this graph. Pay attention to the months of November through March, when the monarchs are in Mexico. Write a paragraph to describe the graph. 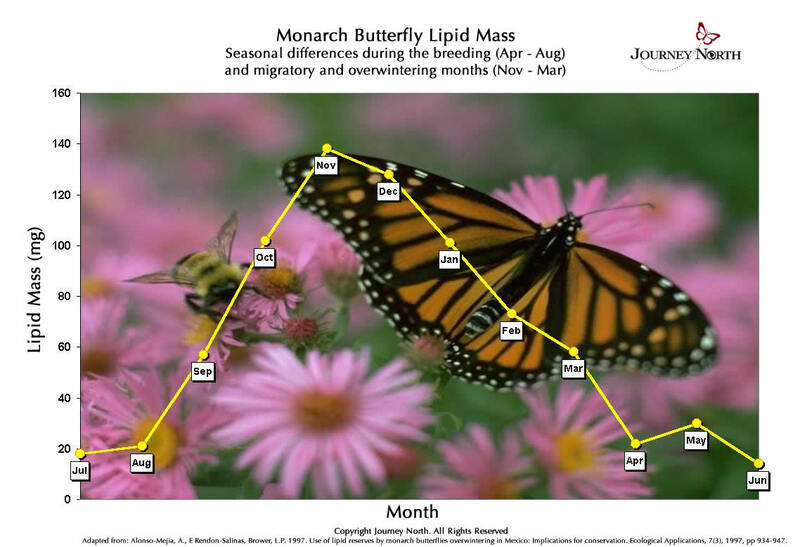 What does the graph suggest about food in the monarch's winter habitat? When you're finished writing, find out what this means for monarchs!